It’s been a little over a week since I’ve returned from the annual family vacation with Joshua’s family. It took a bit of time to get back into the swing of things due to coming home late, having a few days in office to catch up only to turn around and pack up for a weekend in the Bay Area. Saturday, July 13th we kicked off family vacation. My brother in-law and his wife stayed the night, so the four of us piled into the Benz at 5am to meet up with the rest of the family at the nearby park n’ ride. After loading a few things in their trailer (the Benz was PACKED!) 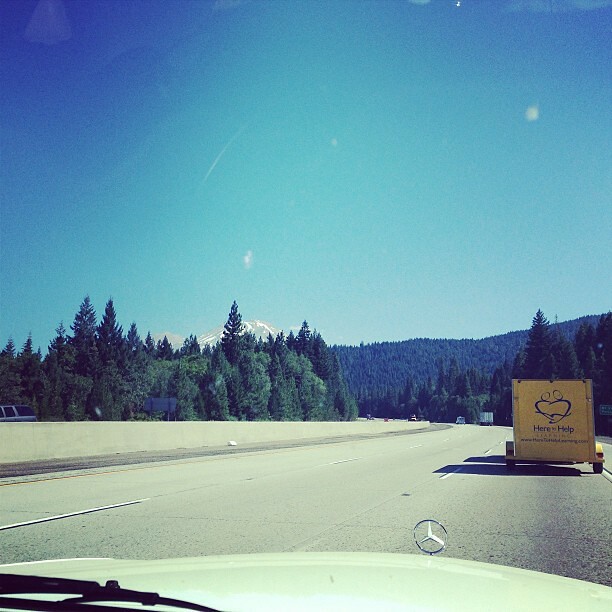 we were on the road to Washington, making the occasional bathroom, fuel or meal stop. We pulled in to a Holiday Inn 30 minutes north of Portland, OR around midnight ending our first day of travel. The next day we were up bright and early for breakfast at Denny’s, and then shortly after that we were on the road again to our final destination: Lynden, Washington! We made it to the Lynden KOA in Washington just in time for dinner! 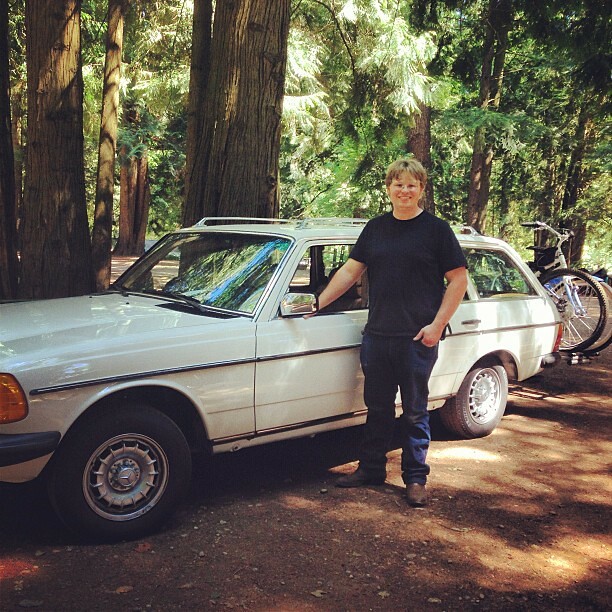 To top it off, the Benz made it safely to the campsite without any problems! We spent the evening setting up camp and relaxing in front of the campfire. It was definitely a great way to end a day and a half of non-stop traveling. 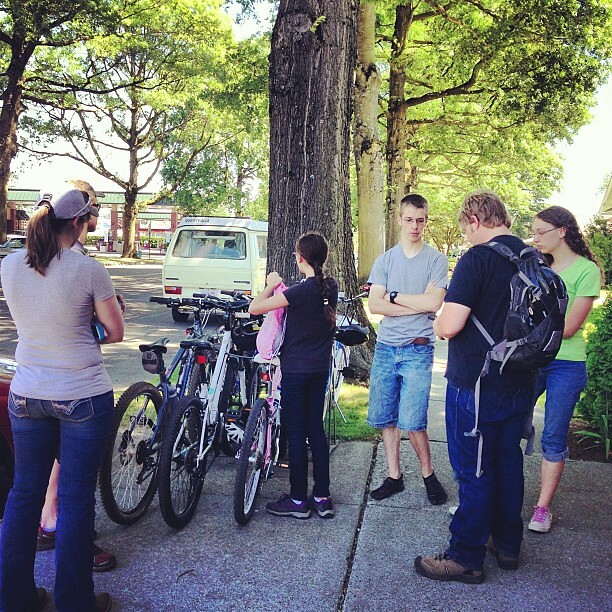 On Monday, we went on a bike ride into downtown Lynden and explored the town. The town has a bit of Dutch heritage, so naturally that was reflected in the architecture and naming of certain shops. We spent all day browsing through the shops and had a lovely lunch at one of the local cafes. We had dinner back at the campsite. 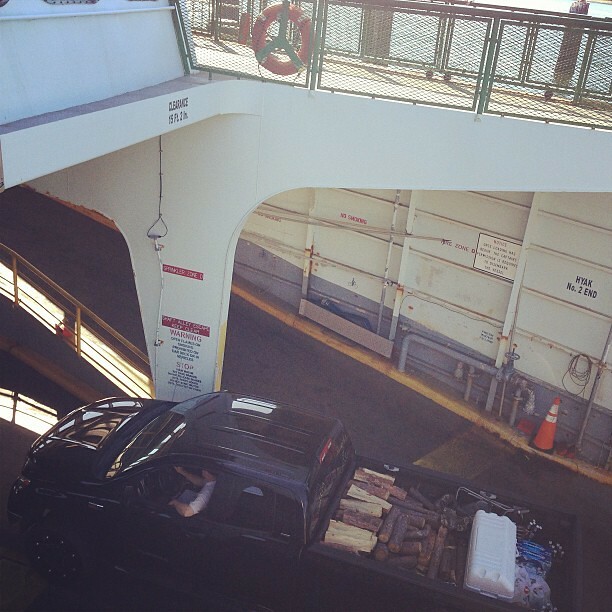 On Tuesday, we took a ferry to San Juan Island for our moped tour! The ferry we went on was the very first one I’ve been on that allows cars; my only experience with ferries have been in the Bay Area. 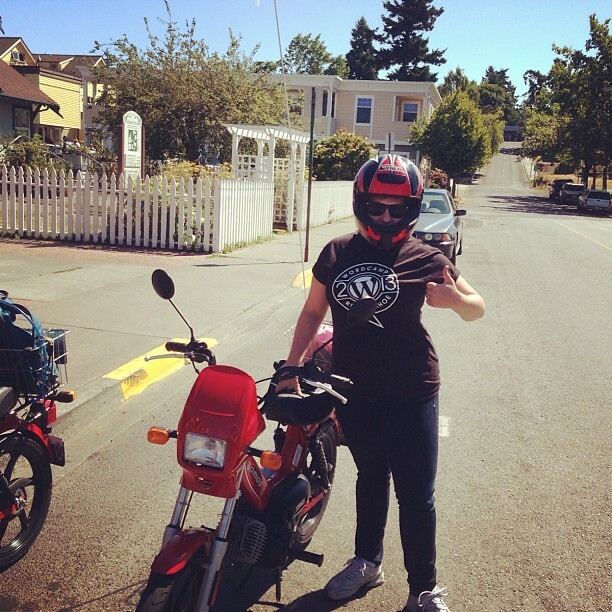 When we arrived at San Juan Island we headed over to Susie’s Mopeds to get our rentals for the day. After doing a wee bit of training, we all took off for a day of exploring the entire island! 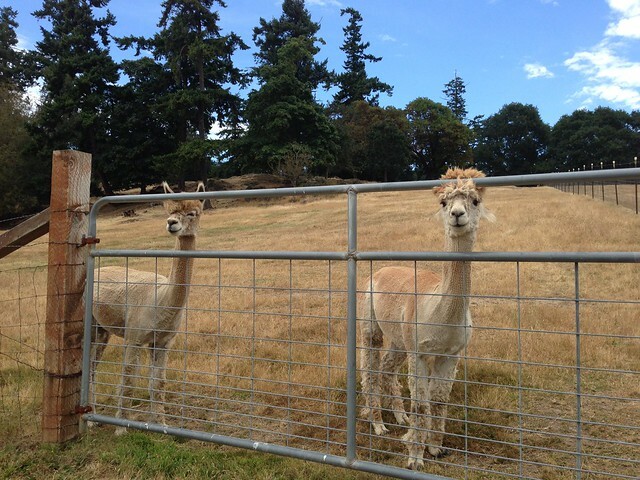 We made some pretty neat stops throughout the day including a whale-watching point by the ocean and an Alpaca farm! Wednesday was our day in Seattle! The rest of the family has been there numerous times, but this was mine and Joshua’s first time. 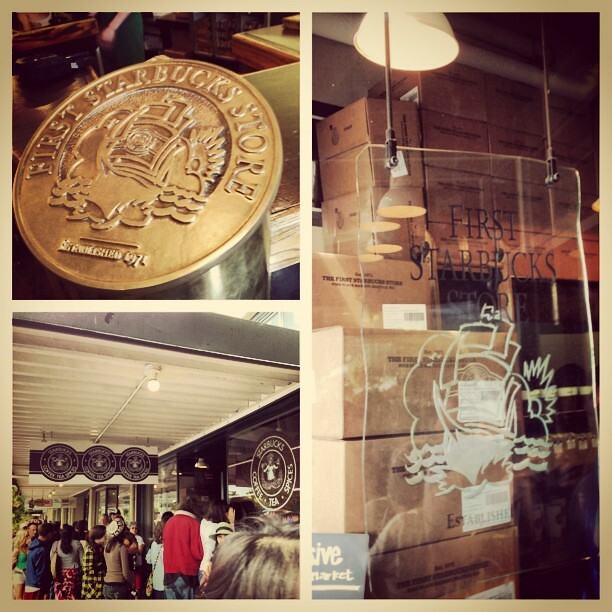 We mainly explored Pike Place Market where I got to see the original Starbucks! I saw the Space Needle from afar, but didn’t get to visit it due to time constraints. We came back to the campsite for dinner with the grandparents. Thursday we spent the day at Camano Island where we all hung out on the beach. Most of us lounged around but others went kayaking and fishing. I also saw nine live jellyfish near the dock, which is the first time I’ve seen jellyfish in their live habitat; I’ve either seen them at an aquarium or dead on the beach. 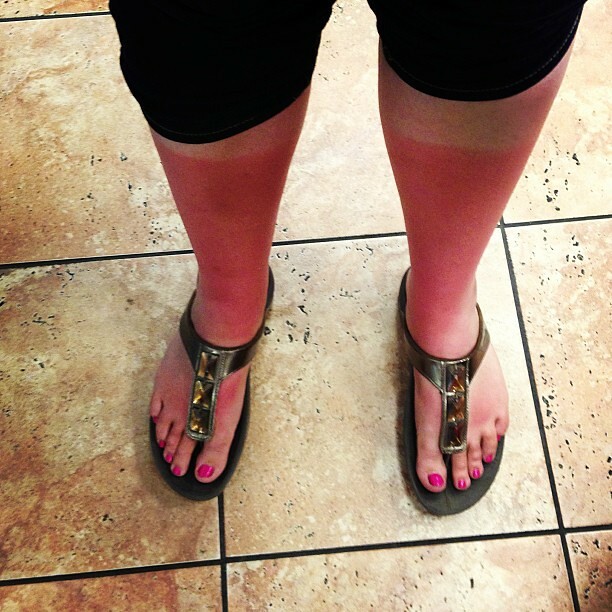 Because of the type of pants I wore and the fact I put on sunscreen when it was too late, I got a MAJOR sunburn! I literally had leg-warmers! It made walking quite painful the rest of the trip. Luckily my sister in-law snagged me a bottle of Aloe Vera, so that helped cool it down slightly. 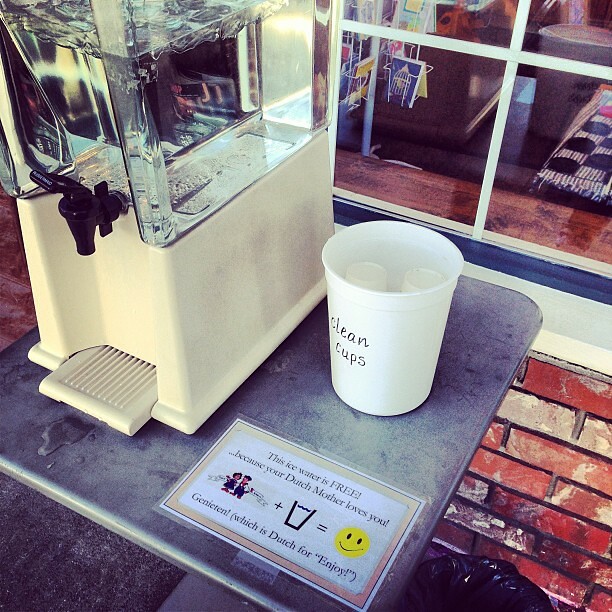 On Friday we packed up the campsite, bid Lynden adieu, and made our way back down south. 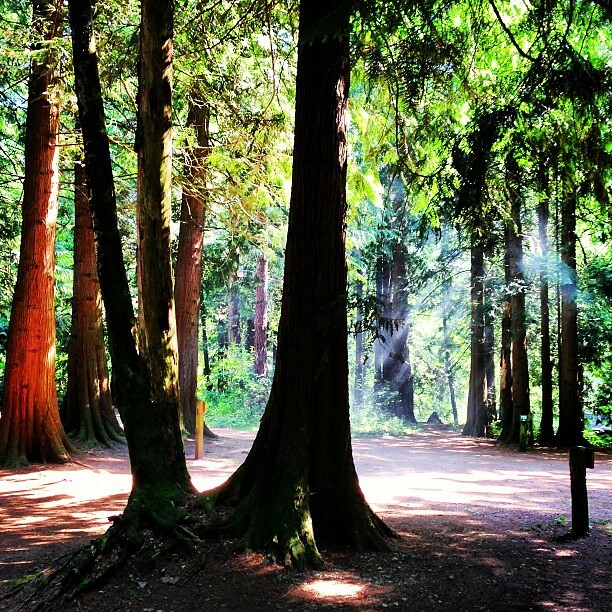 We had dinner with a friend of my sister in-law, and then we made our way to the Albany/Corvallis KOA for the night. The next day we were back at it once more to make the final trip home. We arrived home around 10pm exhausted and ready for bed! While it was a very long drive to and from Washington, it was a great trip, and I’m glad I had the opportunity to visit a new state!